JESS FRANCO ON BLU-RAY? NEW POLL! 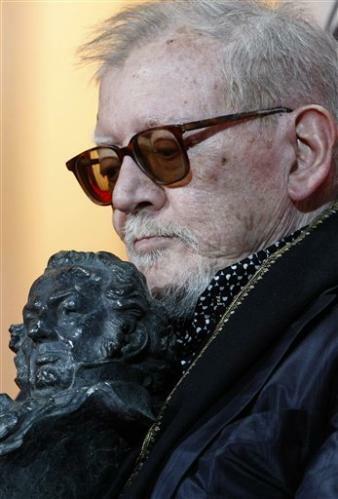 NEW JESS FRANCO BLU-RAY POLL: What Jess Franco films do you want to see on Blu-ray? We have a wide variety of choices and you can vote for more than one title. Results will be sent to all the usual suspects among DVD companies! VOTE HERE: www.robertmonell.blogspot.com NEW JESS FRANCO BLU-RAY POLL: What Jess Franco films do you want to see on Blu-ray? We have a wide variety of choices and you can vote for more than one title. Results will be sent to all the usual suspects among DVD companies! VOTE ON THE SIDEBAR TO THE LEFT! American actress who moved to Spain in the 1960s and appeared in films there. Probably best remembered as the vampire Countess in Leon Klimovsky's LA NOCHE DE WALPURGIS (1970). Here's an image of her and Eddie Constantine in Jess Franco's 1966 Istanbul lensed Eurospy RESEDENCIA PARA ESPIAS. She has a very small role, but she makes an impression. She died on January 3, 2013, reportedly from a heart attack. EL INFIERNO DE LA PASION: Watching the Spanish Cine 7 VHS of Jess Franco's SADOMANIA (1981). I prefer this version over the annoying English dub [released by BU DVD]. 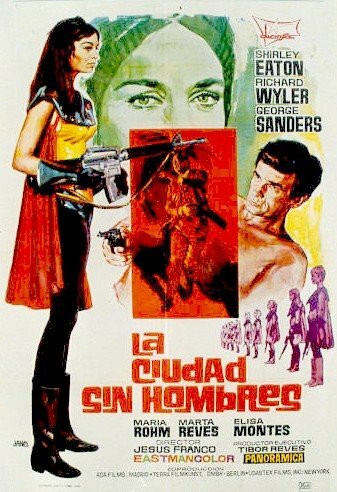 Here you get to hear the distinctive real voices of Jess Franco (as the flaming queen brothel man) and Antonio Mayans. Ajita Wilson is dubbed by Delia Luna, who is better than the English dubber. I have collected numerous, usually cut, versions over the years. From the censored HELLHOLE WOMEN VHS, to a longer German language version from VHS, but still missing footage. I believe this was sourced from TOPPIC VIDEO. EL INFIERNO has a slightly different musical score from the BU DVD and I appreciate the Spanish language soundtrack. We'll be adding this to the JEFF FRANCO ONLINE VIDEO DATABASE with scores for FILM VIDEO AUDIO and runtime PAL, of course. Thanks to Nzoog for dubbing information. DEMONIAC, the US video version of Jess Franco's 1980 EL SADICO DE NOTRE DAME, is coming in 2013 from FULL MOON: GRINDHOUSE. 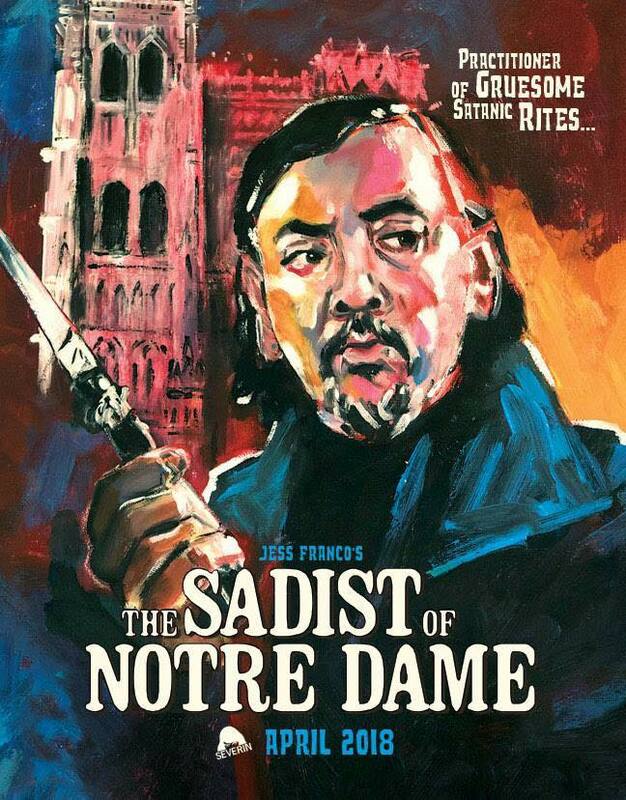 This is not to be confused with EXORCISM, a 1974 feature which Franco reworked into EL SADICO, along with new footage featuring the director as the maniac killer of women in Paris, or the shorter version of that film, also titled DEMONIAC, which is now available on Blu-ray from REDEMPTION. Thanks to Eric Cotenas for alerting me to this release. More details as they become known. It will be interesting to see if this is the censored version once released by WIZARD VIDEO on VHS in the 1980s or the full, uncut version. I'll have a review of that uncensored version up as soon as possible here. BAHIA BLANCA, Jess Franco's rarely seen 1984 crime melodrama, screened today at the Filmoteca in Madrid, Spain as part of a tribute to the late Lina Romay. Hopefully, a future HQ DVD/Blu-ray presentation of this excellent film will appear. Amazon.com: Oasis of the Zombies: Remastered Edition [Blu-ray . Nice to have this favorite on Blu-ray with the French language track, English subtitles and EROTIKILL as an extra! We also bid a sad farewell to Lina Romay in 2012. Her magical presence made this film what it is, along with many other Jess Franco films. She is irreplaceable and will be missed.